Tying together our experience and high tech machinery, we aim to deliver utmost quality to the customers. We offer a range of Three Tales - 3 in 1 Tray. Our adroit workforce keeps quality on the top of our priority list. Its freshness and hygiene is offered at marginal rates. In this range, you can get your hands on three incredible quality products including Green Tea, Masala Tea and Darjeeling Vintage Tea. Spictex International's Masala Tea contains a blend of the exquisite Indian traditional spices and premium quality Assam tea to give you the perfect cup of freshness and ecstasy. The Masala Tea cup contains high grown Assam Tea with its naturally refreshing taste with the capturing touch of spices like ginger , cardamom, cinnamon, clove, star aniseed and many more. Ingredients : Assam Black tea, Spices (ginger, cardamom, cinnamon, clove, star aniseed, black pepper and rose petals). Spictex International's Green tea contains antioxidants and polyphenols which protects you from liver disorders , heart diseases , type-2 diabetes and also aids weight loss. A ZERO calorie beverage considered to be one of the world's healthiest drinks leaves you hydrated and refreshed with its unique flavor and aroma. Green Tea is gaining popularity in the West with Its unique flavor, coupled with numerous health benefits it has created a universal appeal. Casual tea drinkers have turned into staunch believers who swear by its cup. The Vintage Darjeeling Tea is the among the most premium Darjeeling tea which is grown in high altitudes and made from the small-leaved Chinese variety of Camellia Sinensis. The logo is a hallmark of excellence, universally acknowledged as the finest tea for its flavor, rich aroma and uniqueness. 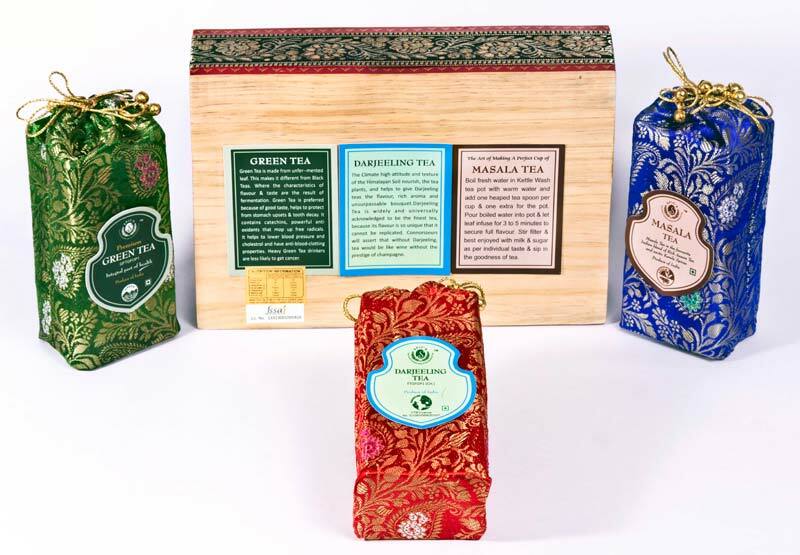 The Darjeeling Vintage Tea is considered to be the most premium teas of all time. The smooth liquor and evergreen taste makes this tea the primary choice of the connoisseurs. Ingredients : Darjeeling Vintage Tea Leaves (Black).